You have the vision. You’ve secured the deal. Now you need a world-class solar engineering company to make it happen. Blue Oak Energy offers full service solar PV system engineering from civil and structural engineering to financial modeling and project acquisition due diligence. Blue Oak Energy provides guidance on every phase of solar project development and delivery. We assist with equipment selection, energy production analyses, complex interconnection engineering, thorough construction documents, permit negotiations, and construction phase engineering. At Blue Oak Energy we deliver focused preliminary engineering and consulting to ensure the success of your solar photovoltaic installation. Our extensive experience with Energy Production Modeling and Verification for investors, financial institutions, and developers means you can rest assured. With our in-house PV System Monitoring and Maintenance program, we are constantly refining our PVSyst modeling standards to ensure a thorough assessment of your project. Solar facility owners and financing entities appreciate our experience with Energy Production Modeling and our ability to adjust for weather data and equipment. Blue Oak Energy provided full scope engineering and served as overall project engineer of record for the complete construction documents for one of the largest single solar electric installations in the Americas. The 37MWp photovoltaic system feeds power directly into the Long Island Power Authority utility grid to power businesses, neighborhoods and cities. There is no replacement for comprehensive construction plans, and permitting documents for the important industry we are growing. At Blue Oak Energy we take a multi-disciplinarian approach to the design and engineering of your PV power plant, leveraging our combined expertise to offer modern day solutions. 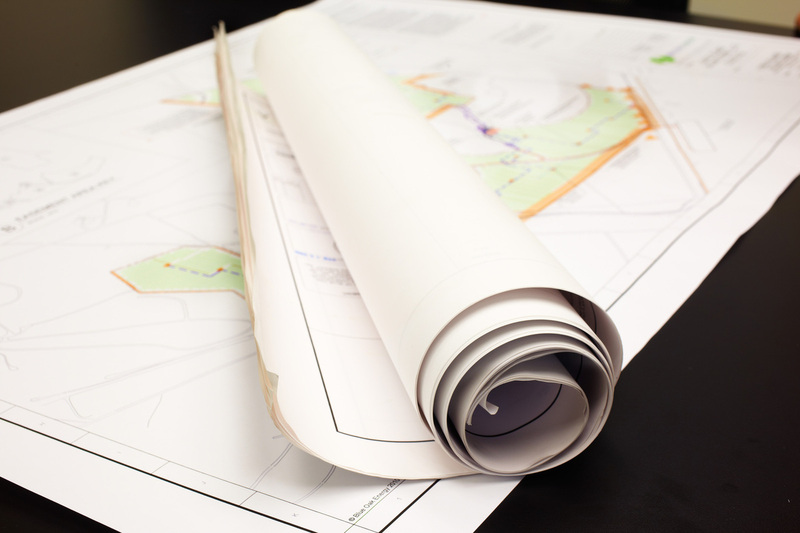 When you see Blue Oak Energy construction plans, you know that all the details are covered. We work to provide organized, comprehensive, and thoughtful details that ultimately protect the developer, the installer, and the owner. Our comprehensive construction drawing packages can be optimized for Design-Build scenarios or meticulously detailed for Design-Bid-Build scenarios. In most circumstances, our standard Design-Build drawing package will serve as a bid set, a permit set and a construction set. However, for larger scale projects, a more detailed solar drawing package may be most appropriate to manage contractors, protect quality and control change order costs. 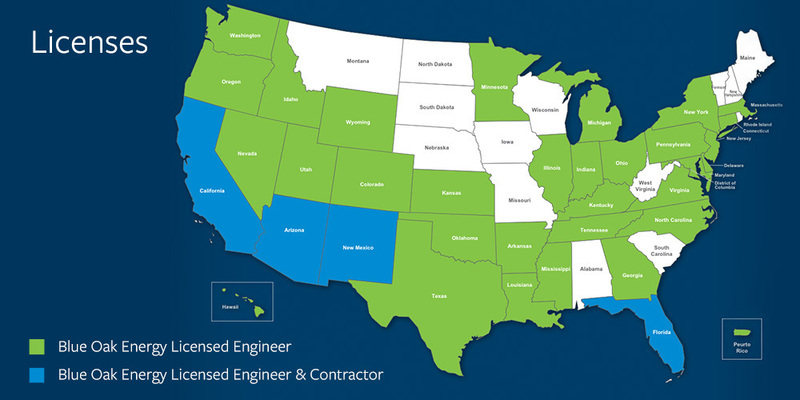 With projects spanning the commercial, utility, and public sectors, we have adapted to dozens of requirements and standards, including NFPA, NEC, NESC, ASCE, IBC, NAVFAC, DSA, UFC, UFGS, IEEE, UL, Cal-Fire, and more. Our in-house Power Engineering team uses the latest state-of-the art engineering tools including ETAP, AMPCalc and internally developed design tools. We are experts in medium voltage collector system design, AC and DC circuit optimization, fuse coordination studies, arc-flash calculations, load flow studies, SCADA design and programming. The seamless integration between our Electrical Engineers and our Civil Engineers creates unmatched cohesion which is evident in our final solutions. Instead of conflicts we create positive collaborations, which is exactly what is needed to propel the solar industry forward. Our civil team delivers detailed grading and drainage plans, foundation design, road design, SWPPPs, site improvement plans, construction monitoring, and final permit close out. We use modern design tools such as FLO-2D, AllPile and AutoCAD Civil 3D for creating consistent civil engineering design and documentation. When it comes to analyzing rooftop structural adequacy and designing solutions, our in-house structural engineers are industry authorities. 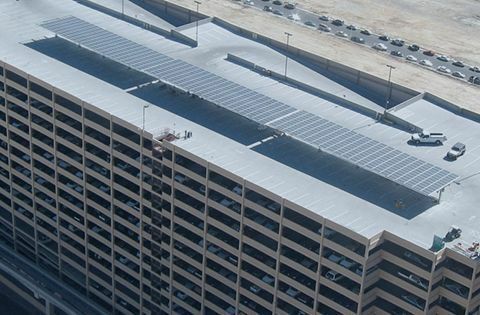 We work to creatively minimize commercial rooftop solar electrical system impacts to the building. Most rooftop solar projects will require attachments or ballast for the array mounting structure. This provides the 25 year lifetime for load resistance against effects from wind uplift and seismic lateral loads. Our structural team uses Enercalc and other tools for solar rooftop structural evaluations to optimize engineered solutions across many geographies.